Children should be seen by their parents and not heard ? Children should be seen by their parents and not heard ? If you are separated from the other parent and do not agree child arrangements, do you think it is right that your son or daughter should be heard by court officers or judges? If you do not reach an agreement, it is more likely to happen if you end up in Court than at any time since The Children Act 1989 became law in 1991. At Cheshire solicitors, Stonehewer Moss, their family law specialist Michael Brennan has seen the shift in vogue for conducting child arrangements case change over the 24 years of his career. Michael said, “I began work in a solicitors office in the week the Children Act became law and it has formed a growing part of my practice ever since. When I began the firm advice given was that the Court should not directly hear from the child. A welfare report might have included a report of the views of the child and, of course, wishes and feelings have always fallen to be considered upon the statutory welfare checklist. Today, by contrast, there is a gathering momentum behind the label, “hearing the voice of the child”, which could well result in routine visits to Court by children. I am sure this will go hand in hand with efforts to protect the child, but it does have the taste of political correctness about it and I wonder if the attitude in my early career, perhaps now labelled paternalistic, was wrong”. Over the past couple of years the Government has introduced obligatory mediation intake sessions for those intending to apply to the Family Court for child arrangements orders. In the field of mediation Michael has noted that “hearing the voice of the child” is becoming a buzz phrase. What this seems to mean is that mediators want to talk to children as part of the mediation process. Resolution, the national family lawyers organisation, recently held a conference at which the key note speech included the statement, “hearing children`s voices should be the norm” in mediation, with the mediator herself or a family consultant talking to your children. Michael feels many mediators will feel uncomfortable about his, just as he has experienced most Family Judges expressing great concern about direct involvement of children at Court. Fortunately, there is an alternative to mediation free from this taint of political correctness over common sense and parental responsibility. Since 2006 Michael Brennan has been trained in an alternative dispute resolution process called collaborative law. 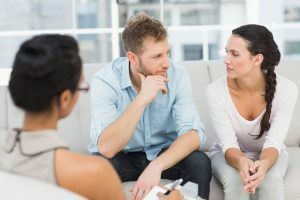 Parents choosing this option instead of Court will acknowledge they need to sort out the problem themselves and both meet with collaboratively trained lawyers to discuss the problem in a confidential environment with the guarantee from their lawyers not to gather information to then take the case to Court with increased legal cost and emotional damage to your family. It is civilised. It is responsible. It will not drag your child into an adult conflict. This article was added on Thursday, December 3rd, 2015 at 3:08 pm and is categorised under Cheshire News, Child arrangements, cohabitation disputes, collaborative law, Divorce, Family Law. Both comments and pings are currently closed. Error: Error validating access token: Session has expired on Saturday, 09-Mar-19 13:12:58 PST. The current time is Thursday, 25-Apr-19 21:43:45 PDT.